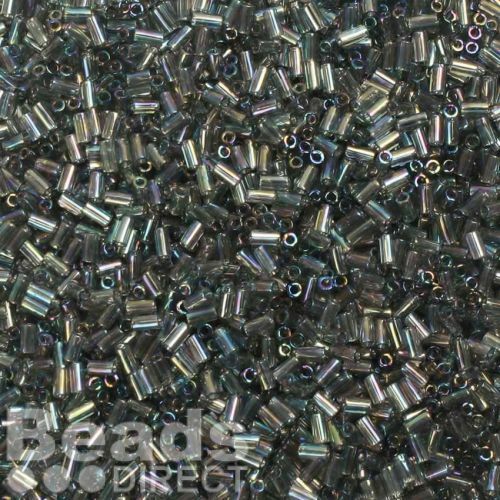 Transparent Rainbow Grey Bugle Size 1 Seed Bead.These tube shaped seed beads come in a 3mm length and are a grey colour, with a rainbow finish. They are perfect as spacer beads and great for stringing and weaving. These Toho beads are made in Japan and are known for their great quality, due to being consistent in colour and size. These beads are sold in 10g beads, containing approx. 750 beads. CommentThese are being used to give extension to necklace made but wanted longer by client.